I think it's quite obvious why I've called this the 'braidadelic quilt'! I love the braid pattern and the bright colours of the Amy Butler Soul Blossoms prints. and then had fun cutting them off afterwards. Seemed quicker and easier that way! For the quilting I did straight diagonal lines to the middle and then went back the other way, it was fun! I think I'm going to display this at the PTA summer fair where I shall be selling my makes... urm better get back to making then! This is the third finish off my FAL list - so glad it is giving me some focus!! You can have a 'whoop, whoop'!! for that finish! It's a great quilt/playmat and a wonderful example of your ability Lucy! Beautiful! What a lot of lovely colour - a very happy quilt indeed! Great little quilt! Love all the colors together! That pattern is one I have been wanting to try. love it! And brilliant idea to sew first and cut later! Cute quilt! I really like quilts that are print-explosions. I find that those are the ones I love to look at and use around the house. Yay! I love it :-) I am currently using some scraps that a friend gave me from the Soul Blossoms prints, along with some Kaffe Fassett to make a mini quilt. I love bright colours. Fantastic pattern choice and the colors are bold and wonderful! Chica that is definitely braidadelic! Hahahahaa. I love these fabrics and I have never been brave enough to put them all together - I usually throw them in here or there with other collections. Go you! I love braid quilts. Even wild and wonderful ones. oh my! love me some Soul Blossoms, and LOVE this quilt! You're right, the braid pattern really gives it a lot of psychedelic movement. Sometimes I think you must be a machine. :) Amazing finish - love the braided look. This is a great pattern that I hadn't seen before. Love your fabric choice ! and i like your shortcut on the trimming. i'm all for that. Loving the bright colors. Beautiful!! Whoop whoop indeed. What a lovely quilt! Make sure you enter it into the Modern Mini Challenge! Oh yes yes yes, this is right up my street!! Love it. It is amazing, love the colours! What a great finish! Oooh, that makes me smile! Whoop whoop! Whoop! This is a wonderful and gorgeous quilt!!! Love it! Great choice of fabrics for that pattern. Braidadelic rocks! 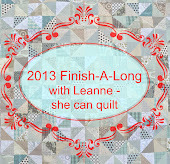 Now how about a big one or is that a step to far - mother and daughter quilts?? I think a whoop whoop is in order! Fantastic quilt. Never knew a braid could look so good! Oh my goodness - FABULOUS! That's worth a big whoop-whoop for sure! Wonderful fabrics. I'm going to have to check out the braided tute.